Did you know at Yoga Kula we offer two types of hot yoga in our beautiful studio? We run two Hot Yoga classes a week and two Hot Vinyasa Flow classes per week. 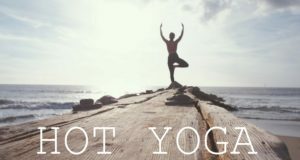 Do you know the difference between Hot Yoga and Hot Vinyasa Flow? Do you know which class you would be most suited to? If the answer is no and you feel like you need a bit more explanation then have a look at the information below. We have also written down some of the many benefits of our infrared heat technology. Hot Yoga classes are fast-paced Hatha-style sessions. Our studio is heated to between 30-35 degrees with the latest infrared heating technology. During Hot Yoga classes students will be expertly guided through 40 postures, specifically created to work your whole body and steady your mind. Participants will leave Hot Yoga classes feeling strong, stretched and nurtured from the infrared heat. Unlike other hot yoga classes, our infrared system means you can really breathe during the class. Those with an understanding of yoga know breath is the key element in taking the body deeper. Hot Yoga and Hot Vinyasa Flow classes at Yoga Kula are unique because unlike other hot yoga studios we use infrared heat to make our studio hot. Infrared heat has a range of benefits not found in traditional forced-air systems. It differs from radiant heat in that the heat warms the body (not the air) providing a breathable & therapeutic workout. The room will be warm, heated to 34-36 degrees. Your experience is as close to practicing yoga outside on a hot summer day as is possible for an indoor space! Infrared heat produces infrared waves which penetrate deep into the body tissue in a way that a traditional heat used in other studios cannot. Infrared heat moves deep into the tissue creating warmth which is great for muscle stiffness. Once the body is heated it can improve flexibility & joint mobility, promotes healing, decreases soreness & inflammation, increases circulation, improves skin tone, promotes weight loss, removes toxins, reduces stress, and speeds recovery. With infrared heat, the object (you) is heated, not the air surrounding you, therefore because the air itself doesn’t get hot, it is suitable for people with respiratory issues, who could possibly find it uncomfortable to go to a regular heated yoga class. The infrared waves are absorbed more deeply into our systems than traditional forms of convection heat. As waves are absorbed by your body, molecules begin to vibrate, causing them to start to expel the toxins, fat, and impurities from your cells into your bloodstream. These are released from your body in the form of sweat. Infrared heat provides students with an incredible detoxifying effect at a cellular level. Your muscles and internal organs will be gently warmed. This form of heat is perfectly safe and completely free of all carbon emissions. Unlike other hot yoga classes, our infrared system means you can really breathe during class. Those with an understanding of yoga know breath is the key element in taking the body deeper without injury and calming a busy, stressed out mind. If you don’t feel quite ready to start your Hot Yoga or Hot Vinyasa Flow journey, we have a great Warm Vinyasa Flow class which runs every Friday at 12:45pm with Ella. To book a Hot Yoga or Hot Vinyasa Flow please click here. To read about our workshops and courses please click here.